The dreaded bidding war. A first-time home buyers nightmare, it’s pretty much the scenario 90% of the time in and around Cambridge. I get a lot of questions on this since there is a lot of anxiety around how these things work. It’s really hard to outline how to win a bidding war since there are innumerable scenarios and factors to take into account including a constantly changing market landscape. I thought it might be helpful to go in depth on one possible bidding war scenario to at least show the color of what goes on these days when a buyer is putting an offer into a property in Cambridge, Brookline, Somerville, and the surrounding areas. Starting about a year ago, we’ve even been seeing a lot of bidding war situations on properties as far out as Melrose, Grafton, and even Brockton. Definitely a sign of low inventory, it will be interesting to see how the market evolves in 2018. Below I will outline one specific scenario of a bidding war in a case study-like style. 10 Main Street goes on the market Thursday, has an open house on Saturday at 12 noon, Sunday at 12 noon, and is allowing accompanied showings only after the Saturday open house. Offers, if any, are being reviewed only after the following Monday at 2 p.m. Property is a 2-bedroom 1-bath 900 square foot condo in Central Square, Cambridge. 200 square feet of the living space is in the basement, but it’s private and connected to a private stairwell. Asking price is $650,000 and in the disclosures section on MLS, the listing agent has written that the property is sold as is and the buyer is to do due diligence on basement living space. Buyer is a couple. Married, no children, early thirties. One partner has parents with money, enough to cover the cost of the house if need be, but the parents prefer not to since they would have to liquidate stock. They are also first-time buyers and have already made offers on two other places that resulted in bidding wars that had six offers and ten offers respectively. They came in fifth place on the first property, then third place on the second one. Buyers see the listing come up on MLS on Thursday, they know that this is the kind of condo that they would buy. They let their agent know that they are seriously interested and that they are able to see the property on Saturday. The buyer’s agent attempts to make an appointment with the listing agent to see the property on Friday so they can get a preview, but the listing agent says absolutely no showings until the Saturday open house. The buyer’s agent is experienced and knows that this kind of condo will absolutely have multiple offers, at least three or four, possibly eight to ten depending on how much of the buyer pool is worried about the basement living space disclosure. In order to get ready to put an offer together, the buyer’s agent begins the due diligence on Friday morning by going to the Cambridge building department to look up the jacket for the condo unit. The buyer’s agent makes a copy of everything in the jacket, and also takes some time to chat with the building inspector working the desk to get some insight on the finished basement area. The buyer’s agent finds out that there weren’t any permits pulled for the basement. However, the building inspector explains that it doesn’t necessarily mean the owner has to tear up the finished area, technically they could still go through the full permitting process and as long as everything was constructed to code, it would be fine. That said, it is clear that this building that the condo is in does not conform to current code, and any permit process for the basement space could involve a special permit or variance, which might mean that the best way to get the basement space officially recognized would be through the twelve-year grandfather clause. The grandfather clause says that if it has been used for twelve years, then it could be allowed as a pre-existing space even if the overall building is not conforming to current codes or zoning ordinances. The buyer’s agent runs all this information by the buyer’s attorney to make sure things make sense, then the buyer’s agent discusses everything with the buyers. The buyers decide they’re okay with the uncertainty, though they might not want to pay as much for this place as they might have if it was truly a 900 square foot above ground condo that was fully permitted and would not require any disclosures if they were to sell in the future. On Saturday, the buyers and their agent attend the first open house at noon. The place is so crowded that they have to wait up to a minute just to enter every room because they need to wait for the people inside the room to come out. It is very hectic and impossible to have a conversation with the listing agent who appears to be overwhelmed trying to handle the crowd. Because the buyer’s agent did not have a chance to have a conversation and lay the groundwork for having the listing agent remember them, the buyer’s agent waited a few hours until after the open house was cleared and called the listing agent for an unaccompanied showing ASAP. The listing agent agreed to a 5 p.m. showing the same day. The buyers and their agents went back to the property at 5 p.m. and there were only four other parties doing unaccompanied showings at the same time so it was easier to have conversations with the listing agent. After the second showing, the buyers decided they would definitely put in an offer. They ask their agent about doing a home inspection before the offer so they could waive it, the buyer’s agent asks the listing agent but the listing agent said they were not allowing any inspections. 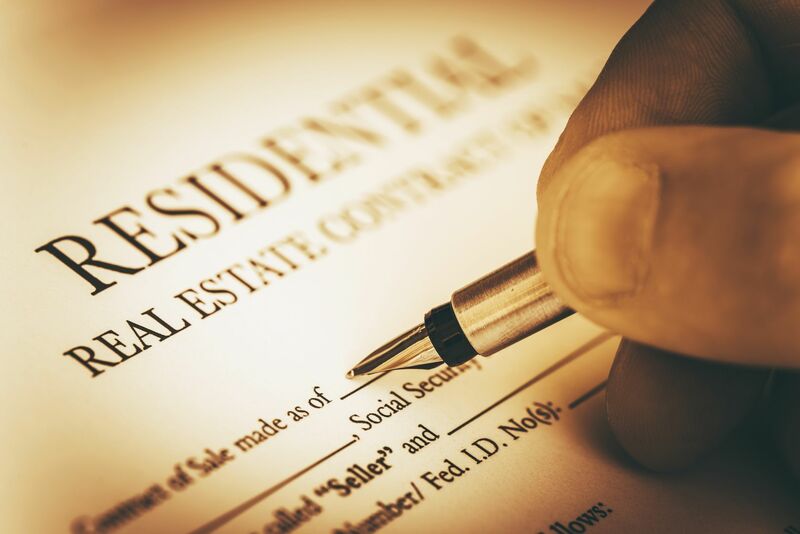 The buyer’s agent makes sure that the buyers were still able to waive the mortgage contingency by using the parent’s money as backup money in the case that they could not get the mortgage that they were hoping for. The buyer’s agent also makes sure the buyers understood that the worst case scenario was not putting more money in, but rather getting a portfolio loan with a slightly higher interest rate. As to the inspection waiving, the buyer’s agent said they should definitely not waive the inspection if they could not get their home inspector in before the offer, but instead could do a partial waiver by saying that they would not request any money or repairs as long as the inspection revealed less than $20,000 of repairs. On Monday, right before the buyer’s agent was to submit the offer, the buyer’s agent called the listing agent to see if they could get any information about how many offers have been submitted so far, as well as the strength of those offers. The listing agent said that they had five offers so far, with anywhere between two to five more offers coming in the next two hours. The buyer’s agent asked if the seller was going to do a best and final round or if they were likely to accept something right away. The listing agent would only reveal that several buyers had waived all contingencies and that any offer under $700,000 would be unnecessary. The buyer’s offer was right at $710,000, with the mortgage contingency waived and the large inspection waiver, so they decided to stand fast and see what would happen. On Monday evening at 8 p.m., the listing agent called the buyer’s agent to say that the buyers were in the top three offers and because the three offers were so close in quality, the seller was doing a best and final for 9:30 pm. The buyer’s agent asked why the best and final timeline was only an hour and a half away, and the listing agent said that the seller just did not want to leave the ten buyer parties hanging and wanted to resolve everything immediately. The buyer’s agent told the buyers that the likely true answer was that one offer had a 9:30 p.m. deadline and was strong enough that the sellers did not want to lose that offer, and were just trying to see if anyone else would come up with a higher quality offer. The buyers decided to increase their inspection waiver to $50,000, and do an escalation clause where they would promise to pay $10,000 more than any other buyer with a cap of $750,000. At 10 p.m. the listing agent called the buyer’s agent to let them know that their offer had been accepted at $735,000. The listing agent and the buyer’s agent discussed the terms on how to prove that there really was another offer at $725,000 that triggered the escalation clause. After the agreement, the buyer’s agent called the buyers to let them know that they had finally won an offer. The buyers were ecstatic and breathed huge sighs of relief that they would not have to go through the bidding war anymore. As you can see, there are a lot of dynamics involved in a market where bidding wars are as commonplace as ever. Every little dynamic in the above example hinges on another dynamic, which makes it really difficult to write an article about the general dynamics of a bidding war. For example, how does one decide whether to do an escalation clause in the first round or the second round? How do you know if the listing agent is telling the truth about how many offers they have? How do you properly frame and understand the risks involved with a $50,000 inspection waiver? What are the risks involved with paying more than 10% over the asking price, the asking price which was set based on perceived market value based on very recent sales of similar properties? Each of these questions could be an entire training session or discussion on their own, compounded on top of each other, so you can see how complex this market has made the buying process. Sometimes it feels like educating and walking a buyer through the bidding war market is like getting an advanced degree! That said, it’s this kind of market that we find super stimulating because of the complexities and the challenges. Albeit at the expense of extreme stress and anxiety of our clients. Personally, I always find it a little bit of a balance to not show too much of the light in my eyes at the chance to jump into a bidding war and to make sure I focus on the feelings of our clients. On the flip side, I imagine a client might feel some reassurance if they know their agent is excited about a dynamic that completely stresses out the client.